I hope all of you are doing well. The reason I am not updating these pages very often, as I used to, is not that I don’t want to see you! It is because I simply can’t do it! To tell the truth, I have decided to go back to school! 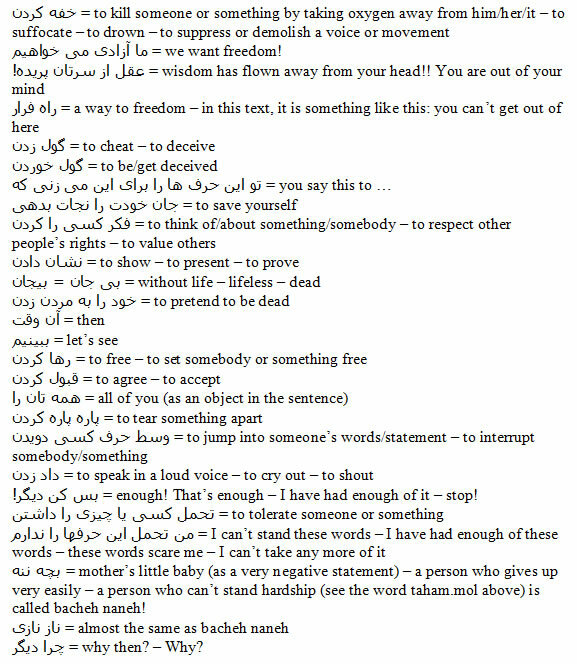 We Iranians say, “ پیری و معرکه گیری ” – “peeri yo marekeh geeri”! Basically it means, “doing at old age what you should have done at young age!” or “doing the activities of the youth (and trying to show the others that you are still young) at an old age”! Don’t think I am old! I am only about twenty years older than many of my classmates!! But who cares! It does worth it. It is a memorable feeling and I suggest you, too, do something to feel young! I am doing philosophy in a degree level and absolutely love what I am doing! Yeah! But as you can imagine, this means a lot of work and ‘suffering’ for poor Hassan and the family! Today, I seem very talkative! Just one more short note! I finally finished writing my memoir – with a selfless friend’s help, of course – and signed a contract with a publisher in USA last week. Again, YEAH! I expect the book to be in the market around Christmas – or early in the next year. I will certainly let you know about it. All right, no more ‘roodeh derazi’! 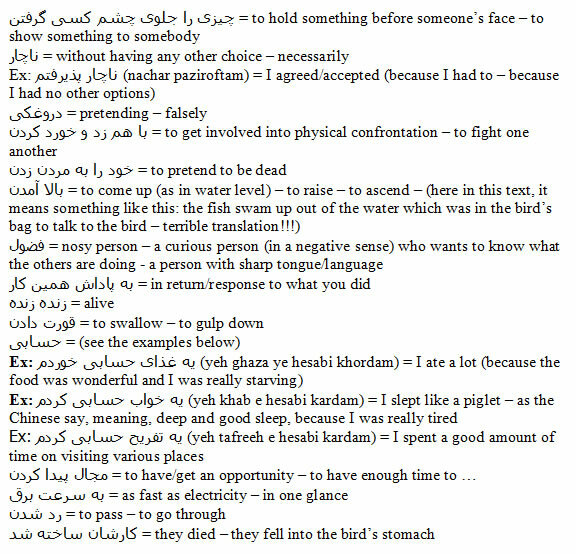 ( روده درازی ) (Being very talkative).